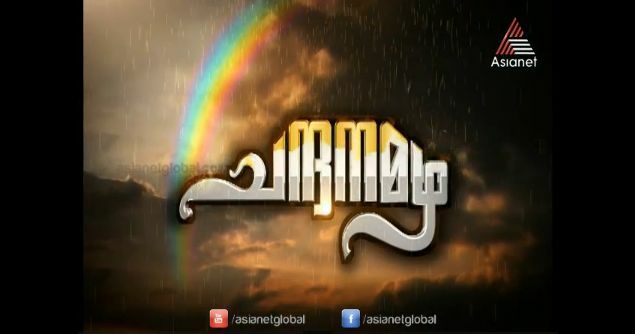 Episode Story Of Chandanamazha Malayalam Television Mega Serial On Asianet, Episode (74 to 79) – 05 May 2014 To 10 May 2014 . Its Showing on the Time Band – 9:30 P.M to 10:00 P:M Every Monday to Saturday. Chandanamazha Serial Started on 3rd February 2014. Its Showing in the Place of Kumkumapoovu. This Serial Tell the story of two cousins Amritha and Varsha. Amrutha Is an Orphan Girl, Her parents died when she was young. Now She lives with her Uncle Vasudev. He is a soft-spoken person. His wife Mayawati and daughter Varsha are very selfish and rude. The story starts with Kokila Modi’s search for a perect bride for her son Aham. She chooses Amritha as her daughter-in-law. This makes Varsha and Urmila jealous of Amritha. You can Read the Full Story Of Chandanamazha From Here.Chandana Mazha Serial is Coming After Parasparam. Next to This is Kailasa Nathan at 10.00 P.M.